← Are You Blossoming or Stuck In Fear? 11 comments to Drained or Overwhelmed? Try this! Rena, as an introvert, I have learned to be very aware of how my energy is spent. I view my time and energy as my most precious commodity. This is such an important topic, especially to women, because we are taught from a very young age how to care for others. We watched our mothers sacrifice their own happiness to meet everyone elses needs and expectations. So many of that generation didn’t even realize they had a right be happy… and the thought of taking their power back is so foreign, it’s like speaking an entirely different language. High fives to you for your straightforward, compassionate approach to helping others find and discover their power. Thank you Janet for sharing your truth! You are right, introverts, women and anyone who is giving more to others than to themselves can easily drain their energy. As you said, it is like speaking a different language – we must learn to take back our power and invest time and energy into taking care of ourselves. Excellent tips, and so true! Doing these things to take back your power changes EVERYTHING!!! What a great post, thank you! eyenie recently posted..Green Juice, Barefoot Running & Allowing Room for Softness: Women Living in NEON! 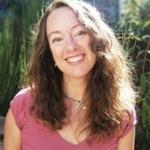 Interview with Lacy Young! Rena, I had never given much thought to the balance between attention given outside ourselves versus what is going on inside of us … as a source of becoming drained and overwhelmed. Yet, when I think about it, times of imbalance do indeed lead to those feelings. Thanks for the eye-opener! Sharon, I really appreciate you sharing such truth from your heart. It is amazing how much imbalance we can create by focusing on what is going on outside of us or what we perceive as ‘being done to us’ instead of being curious about what we are feeling and what is being ‘activated’ inside of us. So much healing can blossom from it! I am honored to empower an eye-opening moment for you. Thank you for taking the time to share here. Just what I needed. How did you know? LOL. Thanks for making me smile Lorna! So glad it hit the spot for you. Thank you for sharing a comment here. Thank you for stopping by Carly! Hope your weekend is full of good things that help you be energized and ready for your week. I think you’re right on with #1 Don’t resist feeling. I used to do this all the time. I didn’t even know it was happening actually, until I went on the GAPS diet on the recommendation of my NP. The GAPS diet pretty much excludes anything that is good for burrying the emotions – sugar, grains, potato chips! And wow. The next two weeks, I think I cried every tear that I held in! A real visceral experience of the body holding emotions of the past. The part that was the most amazing though was that I really couldn’t do anything to stop the feelings from flowing through, and I started to realize that they did just that… flowed THROUGH. As in, if I felt them, I didn’t have to hold them anymore! I really think that feelings are like butterflies, the’re meant to fly free, not be pinned down underneath a cinnamon bun <3 Thanks so much for posting this! Lisa recently posted..Let’s Make it 500! 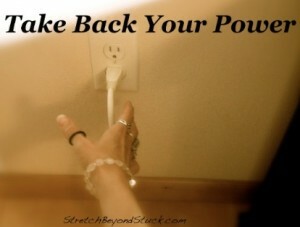 Then, it frees up so much energy (that we were using to hold our feelings down) to give to other areas of our life! Thank you for sharing your truth here.